Alsahwa Net- The Abductees’ Mothers Association (AMA) has denounced the disappearance of some abductees, putting them inside bathrooms and depriving them from sun exposure for six months. AMA further said that the Houthis refuse to treat abductees, asserting that they do not take any humanitarian or moral values into account. 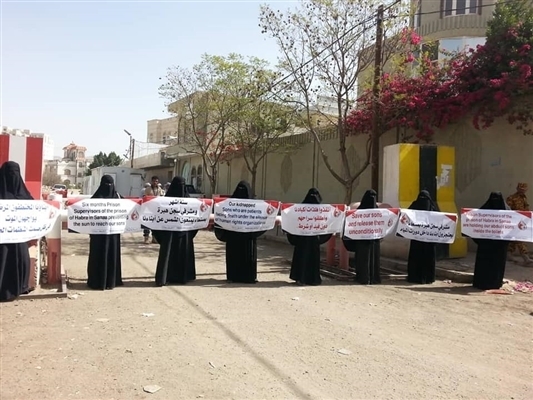 AMA held the Iran-backed Houthi rebels responsible of the safety of all abductees and enforcedly disappeared persons, appealing to the United Nations and its envoy to Yemen to intervene and save the abductees. It emphasized that the Houthis continue violating the abductees and enforced disappeared and ignoring all commitments and agreements.